Today, the Mayor of London, Sadiq Khan, has today published Moore Stephens' independent review into the true scale of the mismanagement of the London Stadium by the former Mayor, revealing a catalogue of errors that led to transformation costs soaring and a bungled decision that has left the taxpayer to foot an annual loss of around £20 million. 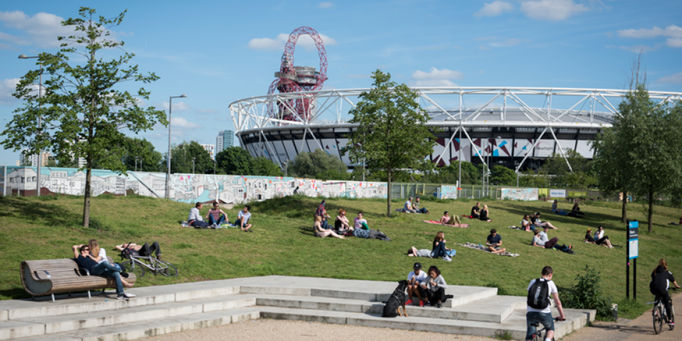 Sadiq has also announced he is now taking over control of the London Stadium to put it on a more secure financial footing and – through the London Legacy Development Corporation - is putting together a plan to ensure its long-term future as a world-class multi-purpose venue and to continue providing community benefits. Commissioned by Sadiq in March this year, the review by our Dispute Advisory and Investigations team, led by Merryck Lowe, reveals for the first time how decisions made by Boris Johnson led to the taxpayer shouldering the cost and financial risk – rather than West Ham United – for the transformation of the London Stadium following the 2012 Olympic and Paralympic Games. It shows the decisions to transform the stadium and to accept the terms of West Ham’s second bid as anchor tenants were made based on incorrect financial estimates and a failure to fully understand or investigate the commercial risks to the taxpayer. The £323m cost of transforming the stadium was significantly higher than the ‘unrealistic’ estimate of £190m, which the review concludes was never properly scrutinised. This failure was further compounded by the previous Mayor’s decision for the stadium to host Rugby World Cup games in 2015, which added extra delays, disruption and costs to the construction programme and put the July 2016 re-opening ahead of the start of the Premier League season at considerable risk. The review says the investment by the public purse will not only never be recovered but has forecast that unless further action is taken, the stadium will continue to lose up to around £20m every year. The former Mayor tied the taxpayer into binding contracts with West Ham United and UK Athletics, severely limiting the present Mayor’s options. The London Legacy Development Corporation, backed by the current Mayor, has been funding the Stadium’s losses since July 2017, enabling the IAAF World Athletics Championships and IPC World Para Athletics Championships to take place and West Ham to begin their season. Without this funding, the E20 partnership, formed of LLDC and the London Borough of Newham, who own the Stadium, would have entered administration and the current Mayor would have been liable under his predecessor’s agreements to pay significant damages to the event organisers. As a result, Sadiq has agreed with the Mayor of Newham, Sir Robin Wales, that it will be easier to address these financial challenges with a single organisation taking full control. Consequently, Newham Council has withdrawn from the E20 partnership, with LLDC and City Hall agreeing the stadium will continue to provide community benefits to residents in east London. Sadiq, through LLDC, will now take over full control of the stadium and is already taking steps to move it towards a more secure and stable financial footing. Sadiq will seek to work with West Ham, UK Athletics and other stadium partners to address the flaws in existing arrangements to the benefit of the taxpayer and all connected with the stadium. The Mayor of London, Sadiq Khan, said: “I ordered the review into the finances of the London Stadium to understand how key decisions were made about its transformation and why costs were allowed to spiral out of control. What has been presented is simply staggering. Not for the first time, it reveals a bungled decision-making process that has the previous Mayor’s fingerprints all over it. “Boris Johnson clearly panicked when faced with legal challenges about West Ham and Newham’s joint bid to take ownership of the Stadium and then decided to re-run the bid process with the taxpayer taking all the risks and footing almost the whole bill. You simply couldn’t make it up. The fact he also failed to properly examine the transformation costs or the entirely inadequate estimates for moving the retractable seats leaves us squarely in the dire financial situation we are in. 1. The original design of the Olympic Stadium - In 2006, the Government Olympic Board and Olympic Delivery Authority agreed plans for a temporary stadium that would revert to a 25,000-capacity, 90 per cent uncovered, athletics arena post-Games. Cost and timescale pressures were given far more importance in decision-making than Olympic legacy, leading to an unsatisfactory post-Games plan. 2. Planning for post-Olympics use - A wide range of options were considered carefully by the Olympic Park Legacy Company in 2010 (reporting to the former Mayor and Government). The review concludes insufficient attention was paid to possible operating models and the associated legal/State Aid implications. 3. Bid process - The first bid process – won by a joint bid from West Ham and Newham Council to run and own the Stadium - was cancelled by Boris Johnson in October 2011 with subsequent legal action threatening London’s bid for the 2017 World Athletics Championships. A decision was then made to adopt a ‘Public Sector Model’ in which the taxpayer would own, transform and operate the stadium. This, according to Moore Stephens, was when matters “went awry” and reported that the approach was fundamentally flawed from the outset. The previous Mayor immediately publicly stated that he would “effectively rent it [the Stadium] to a football club, almost certainly West Ham.” This fundamental change meant that the public sector, not West Ham, would now be liable for the costs of converting the stadium, and was made without any analysis of the major financial implications of this approach. Further, the Mayor’s statement created a very weak negotiating position, underlined by his later decision to fund regeneration in the Tottenham area and thereby support Tottenham Hotspur’s project to build a new ground next to White Hart Lane. With a less favourable deal on the table, and all the risk on the public purse, the review concludes that LLDC (chaired by Boris Johnson) should have considered the option of ‘no deal’ – something they never appeared to consider. This threat could have been used to negotiate a better deal with West Ham, with commitments from them closer to those made in the first bid process. 4. Transformation of the stadium - Contracts were signed with West Ham United before the costs of conversion were properly understood. The annual cost to retract seats was budgeted at £50k, believed to be far lower than for any comparable system in existence. The £323 million cost of transforming the stadium was £133m higher than forecast when the deal with West Ham was approved in March 2013. Boris Johnson’s decision for the Stadium to host Rugby World Cup games in 2015 added significant extra delay and cost, as well as putting the July 2016 Stadium re-opening at considerable risk. 5. Operation of the stadium - The model adopted is dependent on effective retractable seating. However, there was a lack of robust financial appraisal before contracts were signed with West Ham. The separation of shirt and stadium sponsorship required by the deal is one example of how the deals negotiated act as a barrier to maximising income from the stadium. Moore Stephens conclude that the "onerous" deal with West Ham, made while the former Mayor was Chair of LLDC, was “expensive” and does not represent financial value for money for the taxpayer. Sadiq, together with LLDC, is committed to working with West Ham, UK Athletics and stadium operators LS185, to improve the stadium's performance and finances. A Chief Restructuring Officer has been appointed and is starting to tackle the stadium's commercial performance with significant savings already having been secured and work underway in a range of other areas. 1. Publication of the E20 annual accounts, following their approval earlier this week. These accounts recognise a provision for future losses arising from the cost of hosting West Ham and the cost of seat moves. The previous Chair of LLDC, David Edmonds, resigned in November 2016. For more information, please contact Merryck Lowe, or visit our sports group to find out how we could help you. In March 2017 the Mayor commissioned our Dispute Advisory & Investigations team to lead an independent review of the Olympic Stadium. The final report was published on 1 December 2017.